Foreign policy in the Wilhelmine Era (1890-1914) turned away from Bismarck’s cautious diplomacy of the 1871-90 period. It was also marked by a shrill aggressiveness. Brusque, clumsy diplomacy was backed by increased armaments production, most notably the creation of a large fleet of battleships capable of challenging the British navy. 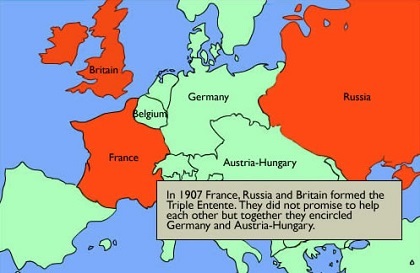 This new bellicosity alarmed the rest of Europe, and by about 1907 German policy makers had succeeded in creating Bismarck’s nightmare: a Germany “encircled” by an alliance of hostile neighbors–in this case Russia, France, and Britain–in an alliance called the Triple Entente. The first brick to fall out of Bismarck’s carefully crafted edifice was Germany’s Reinsurance Treaty with Russia. Harmed by Prussian trade policies, Russia did not renew the treaty and instead turned to France for economic assistance and military security. The two countries formally allied in early 1893. Britain joined them in 1907, even though France and Britain had nearly gone to war over a colonial dispute in 1898. Britain’s main reason for abandoning its usual posture as an aloof observer of developments on the continent was Germany’s plan to build a fleet of sixty battleships of the formidable Dreadnought class. The German naval expansion program had many domestic supporters. The Kaiser deeply admired the navy of his grandmother, Queen Victoria of Britain, and wanted one as large for himself. 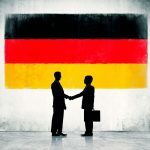 Powerful lobbying groups in Germany desired a large navy to give Germany a worldwide role and to protect a growing German colonial empire in Africa and the Pacific. Industry wanted large government contracts. Some political parties promoted naval expansion and an aggressive foreign policy to win votes from a nervous electorate they kept worked up with jingoistic rhetoric. 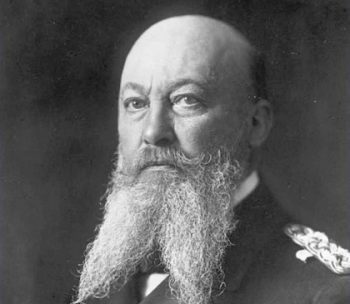 The chief figure in promoting the naval buildup was Admiral Alfred von Tirpitz, who is considered the founder of the modern German navy. Tirpitz was an effective spokesman for the program and had the ear of the Kaiser and his advisers. 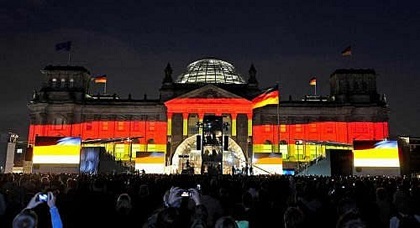 In 1898, after the Reichstag passed the first Naval Bill, Anglo-German relations deteriorated. The Supplementary Naval Act of 1900 further strained relations with Britain, as did a proposed Berlin-Baghdad railroad through the Ottoman Empire, a project that threatened British as well as Russian interests in the Balkans. Two crises over Morocco, in 1905 and 1911, drove France and Britain closer together and made for a tense international atmosphere. 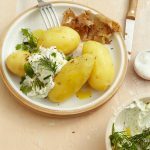 The great powers remained neutral during the Balkan Wars (1912-13), a nationalist rebellion against Ottoman rule, but European tensions were increased still further, and the expectation that there would eventually be war on the continent became more certain. 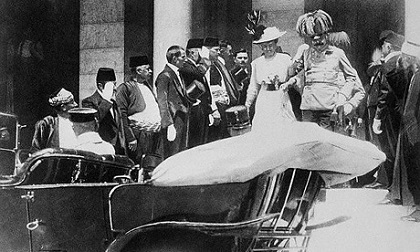 The assassination of Archduke Franz Ferdinand in Sarajevo on June 28, 1914, set off a series of diplomatic and military decisions that would end peace in Europe. 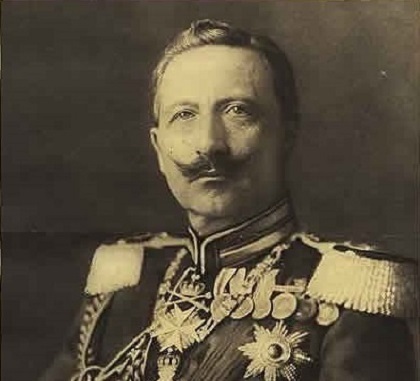 The Kaiser gave a so-called blank check to his ally, Austria-Hungary, saying that Germany would support any Habsburg measure taken against Serbia, which had backed the assassination. Austria-Hungary’s ultimatum to Serbia in late July was so harsh that war became inevitable. Within days, a set of interlocking alliances had Europe’s great powers embroiled in what would become World War I.